There are very few things on this earth that can actually be fixed with the wave of a wand, but UV Sanitizers really do work like magic, using technology--not spell--to kill germs and clean your environment. But let’s imagine for a moment that you’ve fallen into Hogwarts or some other magic realm (Narnia? The Shire?) where magic actually happens. 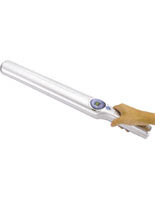 What might you choose as your favorite wand to kill germs and fight allergens? 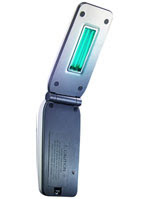 Here then, is your Guide to Magic Handheld UV Sanitizers. You don’t have to just imagine you’re killing germs and viruses that cause colds and flu when you use the CleanWave UV-C Sanitizing wand to eliminate 99.9% of bacteria and mold. This handheld sanitizer is also great for knocking out bed bugs and dust mites. It even kills E.coli (such nasty stuff) and influenza A (H1N1). You don’t have to work that hard either, because this 20.75” wand is the ideal size to treat bedding. Clothing, kitchen counters and any other space you want to sanitize. It employs the same technology used by hospitals to kill germs and works on bedding, clothing, kitchen counters or any other area you choose to sanitize. We won’t blame you for murmuring a few choice words or a mysterious phrase as you use the Nano-UV Wand Large Area Disinfection Scanner. This 23” scanner folds down to 14” for transportation, but when you want to cover a broad area this wand does the trick of killing flu virus, cold virus, E.Coli, even salmonella. Use it to sweep clean children’s play areas after the snot-nosed neighbor kids come over. Voila! Along with a little wipedown you’ll know your children’s toys and play areas won’t make them sick. Take this wand on trips and sanitize hotels and even airplanes if you choose. Great for sports equipment that tends to gather germs, and beds and mattresses can be bed bug and dust mite free. 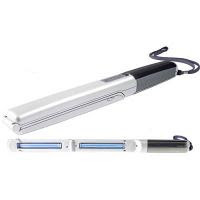 Say Nano Nano three times and let this UV wand with multiple wavelengths do the trick. Even eliminates mold. $159.99 with manufacturer’s warranty. We’re not pulling your leg when we tell you how important it can be to sanitize your water. It’s especially true when traveling, but even around the house when germs are rife it can keep everyone healthy and happy to water sanitize. Just 10 seconds is all it takes with the Nano UV Water Disinfection & Surface Sanitizer to kill germs on the surface and 40 seconds to remove harmful water germs. Also eliminates bed bugs, dust mites and mold, and it’s handheld! We predict you’ll be waving it everywhere in defense of yourself and your family, and when someone asks what you’re doing, just tell them, “I’m working magic.” We’re sure they won’t believe you, but you’ll know differently, won’t you? The word “Zadro” even sounds like something that works magic, don’t you agree? 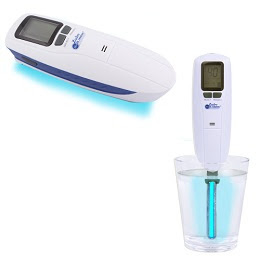 Well, the Zadro Nano-UV Disinfection Light Scanner is a compact, cell-phone sized disinfection light scanner that you can take anywhere you go. It kills 99.9% of bacteria and eliminates mold, knocks out bed bugs and is great for travel. It’s even FDA approved, so you know it works. If you like being discreet yet clean, this is the perfect UV “wand” for you. Only $79.99. There you have it. Lots of magic and great results, too!